CPUT’s involvement in World Design Capital 2014 (WDC) was given a beneficial boost yesterday with the official launch of the imaginethat* office and website. The imaginethat* office is a co-ordination platform for the university’s 16 officially recognised WDC 2014 projects and all other connected CPUT related research and events. The interactive website aims to showcase the incredible CPUT projects that caught the attention of WDC 2014 curators and follow their journey from inception to completion. Deputy Vice Chancellor: Research, Technology, Innovation and Partnerships Dr Chris Nhlapo says the website will help explain the projects to everyone and not just those in the design field. “The design community can be inclusive however this process has shown me that this is actually an area for all of us. We need to incorporate design thinking into all we do,” he says. Building on the hype of 2014, Nhlapo says he hopes to attract a Design Chair to the institution to consolidate and drive research in this area. The imaginethat* website features videos, bloggers, social media platforms and regular news updates and is an integral tool to understanding CPUT and its WDC 2014 involvement. CPUT boasts the highest number of successfully accepted WDC 2014 projects of all higher education institutions in the city and the number continues to grow. 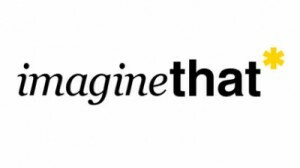 Visit www.imaginethat.org.za for more information. Follow them on Twitter and like them on Facebook to get regular updates.